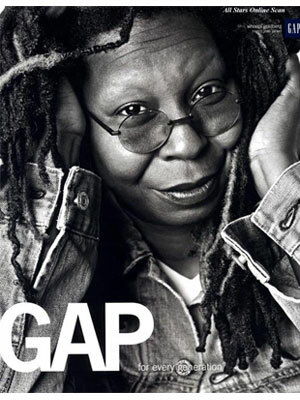 Whoopi Goldberg (born Caryn Elaine Johnson 13 November 1955 in New York, New York), is an American actress and comedian. 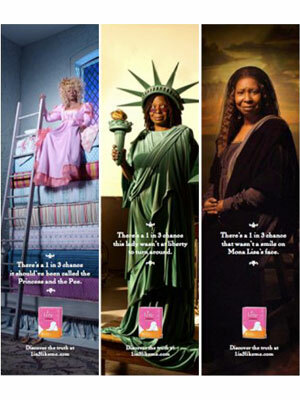 She starred in the movies, The Color Purple, Jumpin' Jack Flash, Ghost, and Sister Act. Goldberg was a host for the TV show The View since 2007. 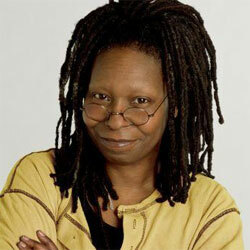 She has won an Emmy, Grammy, Oscar, and Tony (EGOT) Awards. 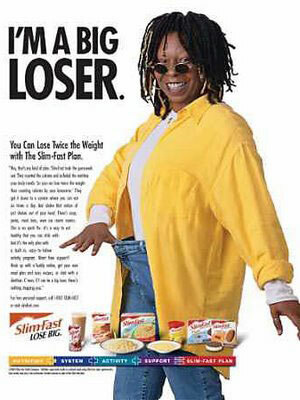 Whoopi Goldberg was a spokesmodel for Slim-Fast (dropped 2004), GAP, and Poise Pads.